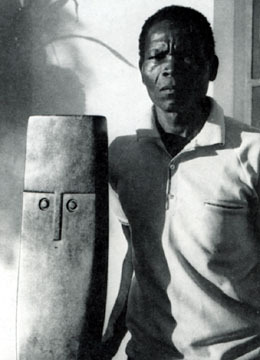 Henry Munyaradzi in 1974 with Spade Head. Photograph from Oliver Sultan's Life in Stone: Zimbabwean Sculpture -- Birth of a Contemporary Art Form. Revised Edition. Harare: Baobab Press, 1994. Page 31.